The PSP Exchange: In Circulation - Don’t miss out on the event at gets people moving! In Circulation - Don’t miss out on the event at gets people moving! Walk with your Doc is a fun and simple way to get your patients moving, and to discuss the benefits of daily activity with them in an informal and social setting. We’ll help you every step of the way and provide support materials to make it as easy as possible! Register your local walk now at walkwithyourdoc.ca. Walk with your Doc takes place May 5 – May 13. In Doctors Making a Difference, we profile doctors around the province who are going above and beyond to improve the lives of their patients, their communities and our health care system. Do you know a doctor in your community who is making a difference? Drop us a line at communications@doctorsofbc.ca with his or her name and contact information. You may see them profiled in a future article. On Friday, April 13th, all eligible members would have received an email from Everyone Counts Canada (ECC) inviting their participation in the current election for President-Elect. This email contains a link to the voting site as well as all necessary login information. To read each candidates’ campaign platforms, and for a complete 2017/2018 Election Summary, click here (login required). The voting window closes at 11:59pm on May 14th. If you did not receive the email invitation, or are having technical difficulties accessing the voting website, please email ECC directly at helpdesk@everyonecounts.com. For specific questions pertaining to the vote itself, please email voting@doctorsofbc.ca. · Member of the Board of Directors (4 positions – 2 GPs and 2 Specialist) The specialist with the highest number of votes chooses the one (1) or two (2) year term. The Specialist with second highest number of votes will automatically get the term not chosen. Lower Mainland Medical Imaging (LMMI) has initiated a project to centralize intake for outpatient MRI referrals across Vancouver Coastal Health, Providence Health Care and Fraser Health.MRI central intake will provide referring clinicians with a central fax number to direct outpatient MRI referrals for 11 MRI sites across the lower mainland. This allows patients to be booked at the most appropriate lower mainland MRI site with the shortest wait time. Benefits of central intake include streamlining MRI wait lists, reducing the number of duplicate referrals and missed appointments, and providing referring clinicians a single referral process for multiple MRI locations. For more information contact visit the MRI Central Intake website. · Medical Imaging and Cardiology reports will now be delivered via Excelleris. · There will be significant enhancements to the categorization of clinical reports. · Distribution by mail/courier is being phased out in favour of delivery to your EMR, Launchpad, or fax through Excelleris. These changes are part of the Clinical and Systems Transformation (CST) and Electronic Results Distribution projects. For more information about the changes you can expect, please visit the CST website here. For help with specific distribution issues, please contact the department or group listed on the report. For support with Excelleris registration, please contact Excelleris Support via email at support@excelleris.com or by phone at 1-866-728-4777. The Health Technology Review Office is seeking up to 5 experienced clinicians to provide clinical input into the assessment of Clinical Order Sets. The contract is anticipated to be for 2 weeks and will require up to 7-8 hours of work. For more information about this opportunity please send your CV to Danielle Atkinson at Danielle.atkinson@gov.bc.ca by May 7 2018. 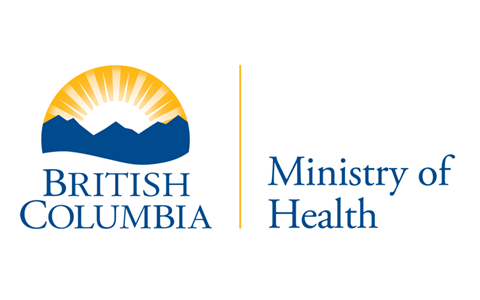 Access to child and youth mental health and substance use services is limited in BC. Feedback from community providers indicates urgent need for more support. BC Children’s Hospital Mental Health Services is redesigning its services to improve access to psychiatric supports and services for children and youth across BC. Goals are to support care close to home while streamlining access to psychiatry for patients with complex needs. Family Physician and Pediatrician feedback is needed to identify current gaps/barriers and the types of supports/services that would be helpful. Please complete our 10-15 minute SURVEY. Contact dsirivar@cw.bc.ca for support. This e-mail and any attachment(s) is for authorized use by the intended recipient(s) only. If you are not the intended recipient, you are hereby notified that any review, retransmission, conversion to hard copy, copying, circulation or any other use of this message and any attachments is strictly prohibited. If you are not the intended recipient, please notify the sender immediately and delete this e-mail and any attachment(s). Thank you.